Celebrate the magic of Easter with the Little People® friends! With over 55 flaps to lift, Easter Is Here! will be a fast favorite. Colored eggs, chocolate bunnies, candy-filled baskets…Easter is coming, and Eddie and his friends can’t wait! Kids will love joining their Little People® friends as they color eggs, march in an Easter parade, and even get a glimpse into the Easter Bunny’s workshop. With more than 55 fun surprise flaps to lift and learning activities throughout, Easter Is Here! is a holiday favorite. 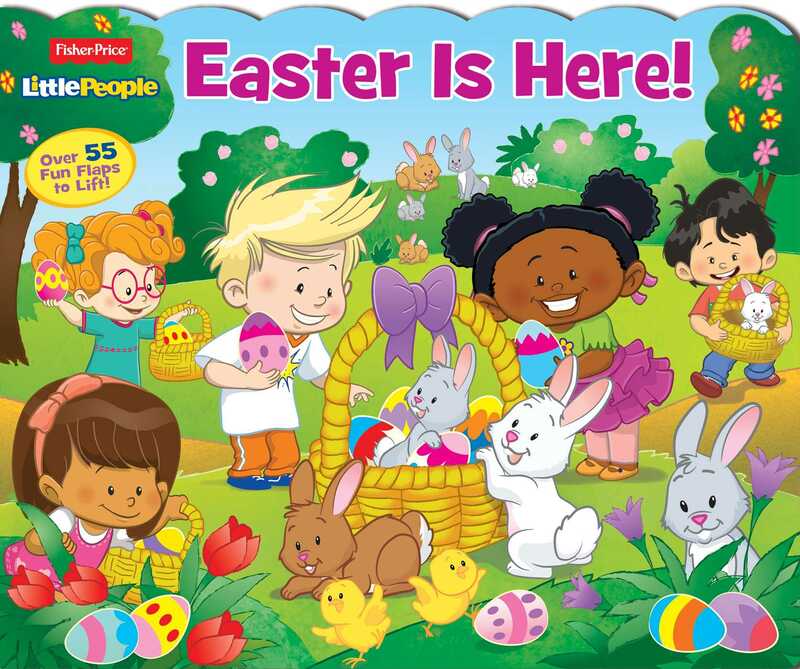 Book Cover Image (jpg): Fisher-Price Little People: Easter is Here!